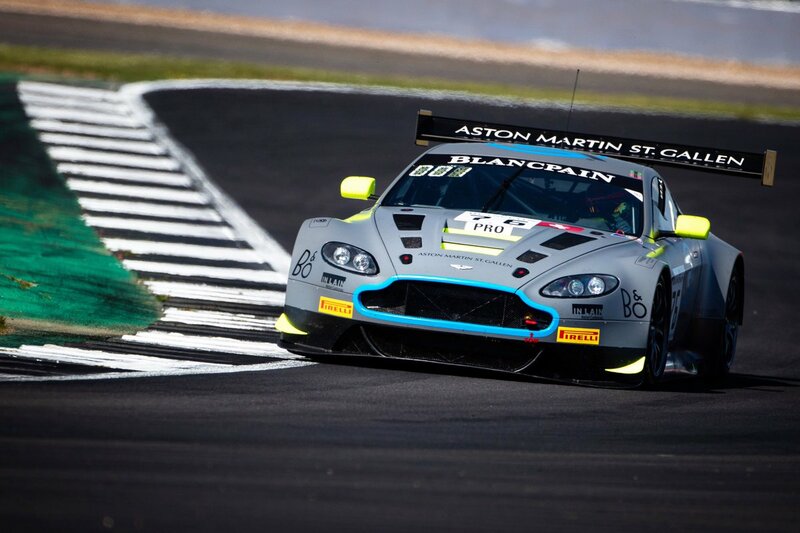 The #76 R-Motorsport Aston Martin V12 Vantage, piloted by Matthieu Vaxivière, Jake Dennis and Nicki Thiim, took pole position for the Circuit Paul Ricard 1000kms with an aggregate lap-time of 1:54.303, taking the team’s second pole of the season. Joining the #76 car on front row of the 51-car grid will be the #58 Garage 59 McLaren 650S GT3 in which Andrew Watson, Ben Barnicoat and Côme Ledogar set an average lap-time of 1:54.374 round the 5.91 km Provence circuit. Completing the top three was the #72 SMP Racing Ferrari F488 GT3 with the driver line-up of Mikhail Aleshin, Miguel Molina and Davide Rigon who set an aggregate time of 1:54.512 after Molina went quickest in the second session with a 1:54.153. The three fifteen-minute sessions went without incident although there was a brief red-flag shown seconds after the chequered flag went out at the end of Q2. Although this is the second consecutive pole position for the #76 R-Motorsport Aston Martin, the first is still in dispute after the car was disqualified from qualifying at Silverstone and raced from pole position under appeal. It is understood the appeal is due to be heard mid-month. Notwithstanding, the team was delighted to be starting from the front for the second time in two weeks. The lights go out for the Circuit Paul Ricard 1000kms, the fifth round of the 2018 Blancpain GT Series and the third round of the Endurance Cup, at 17:45 local time later today.